The business world has certain spoken and assumed rules about professionalism and privacy. For example, we don’t ask ages or the year someone graduated from high school. We don’t ask if someone owns a home or a car and we do not ask about credit scores. These no-no questions are a snapshot of the long list of questions employers aren’t legally allowed to ask. Why the secrecy? According to the Equal Employment Opportunity Commission (EEOC), these questions are off limits to help protect employees from discrimination, and also help prevent lawsuits. So, what happens when you, the business owner, receive notice that you are to garnish an employee’s wages? For starters, you might not even be certain what wage garnishment means. What a pickle. Hopefully with a little guidance, this kind of situation (while never sweet like a gherkin) won’t leave that sour dill taste in your mouth. To understand how to deal with garnishments when they arise, you need to first understand what a garnishment is. The wage garnishment can result from a number of things. Garnishing someone’s wages simply means there’s a court order to seize wages or property to satisfy a debt. They seize wages by way of a payroll deduction. Child support – When the court orders a divorced parent (usually non-custodial) to pay the other parent to help financially support the minor child or children. 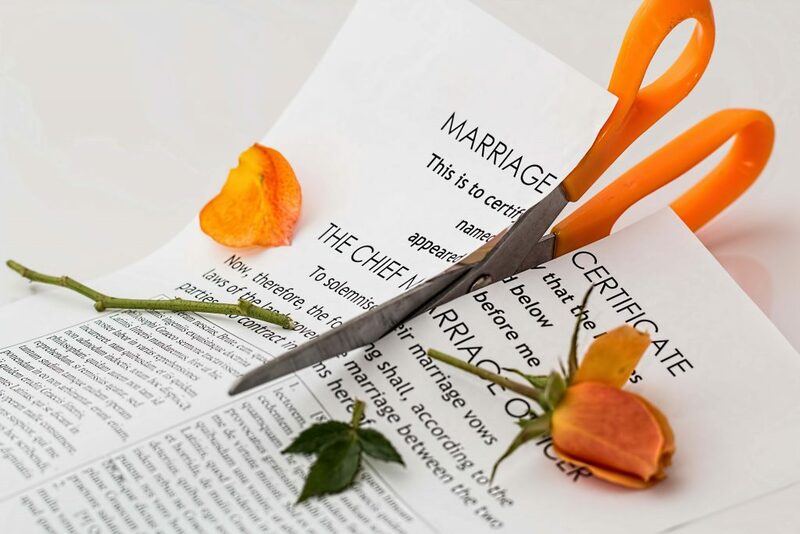 Alimony – When the court orders one spouse to pay another following a divorce. Bankruptcy – When it’s determined a person is unable to pay outstanding debts, but the person is still responsible for paying to file and to hire a bankruptcy attorney. Student loans – When a student receives a loan to assist in paying for educational costs, including tuition, books, and other living expenses. Consumer debt – When a person owes debts due to purchasing consumable items that do not appreciate. Government debt (non-tax related) – When a person owes money to the government (such as federal student loans), but the funds are not related to taxes. Taxes – When a person owes the government money that should have been paid by way of payroll for income, or on a quarterly or yearly basis for business endeavors, property ownership, or to support common resources (government roads, infrastructure, public parks and libraries). With all these items, the debt doesn’t typically become a garnishment until the payments are in default. In other words, many people pay child support, alimony, and taxes (as well as the other aforementioned items) without having a wage garnishment. 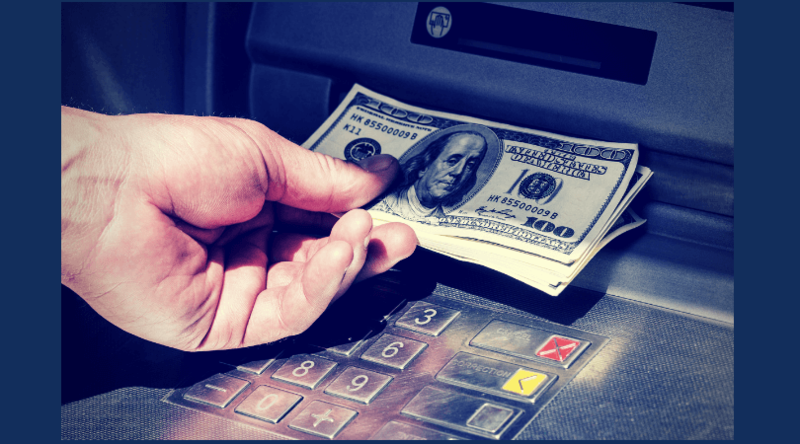 If, however, someone repeatedly fails to make payments on time, or fails to make payments at all, the debt collector could determine the best route for reclaiming funds or property is through a wage garnishment. Once you’re familiar with the various reasons why your employee might experience a wage garnishment, you’ll want to ensure your discussion about the garnishment falls within the appropriate professional verbiage. Remember, an employee may feel humiliation that an employer knows about his financial struggles. Tread lightly on the subject! The employee only needs to know that you received the garnishment and that it’s been handled properly. No further discussion necessary! Once an employer receives a writ of garnishment (also known as a garnishment order), it’s the employer’s responsibility to return a statutory response. You’ll begin immediately withholding the garnishment (applicable dates will be on the order). One thing to note is that the garnishee (employee) also receives notice of the garnishment in writing. The garnishee has a certain number of days (determined by state) to contest the garnishment. So if you’re worried about breaking the news of the garnishment to your employee, don’t be. Rest assured, it likely comes as no surprise to your employee. If the employee decides to proceed with the challenge, it’s the employee’s responsibility to notify their employer. The employer will then notify the payroll company, so they know to send the payments to the garnishing agency, instead of the creditor. In this instance, the garnishing agency would hold onto the funds until the garnishment dispute is resolved. After the dispute, the funds will either return to the garnishee or be sent to the creditor. With regard to what is allowable by law, do not pry about the garnishment. While you may notify the employee of the writ of garnishment, the employee doesn’t need to go into detail, other than to say they are going to challenge the garnishment and to send payments to the garnishing agency. Luckily, there is a plethora of information online via the EEOC, DOL, and other state sites with all the details available of what needs to be done. If the garnishment is properly and securely handled, no further discussions are necessary. 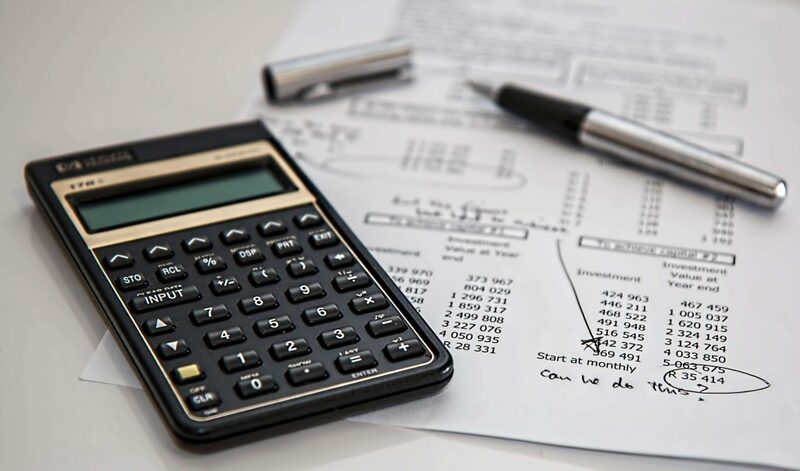 While it might seem like an entity is deducting an astronomical amount of money from an employee’s paycheck, there are actually strict limitations on the percentage of an employee’s disposable income that can be claimed for a garnishment. No matter how much a person is in debt, a garnishment can’t leave them naked, but it might nearly strip them down to their skivvies. Still, there must be a little something left to take home at the end of the day. So what exactly is “disposable income?” Well, disposable income is the amount left over after withholding taxes and Social Security. In other words, garnishments fall high on the list of payroll deduction priorities. The garnishment comes before fringe benefit deductions, including insurance and 401k. The intention is to recoup the money before it’s distributed elsewhere. Creditors are prohibited from taking more than 25% (per week) of someone’s disposable income, or the amount that his/her income is greater than 30 times the federal minimum wage—whichever is less. For child support, however, a garnishment can be up to 50-65% depending on the circumstance. As an employer, familiarize yourself with the different types of garnishments so that you understand them, and withhold the appropriate amount. If you don’t have time to dive headfirst into all things garnishment, here’s a downloadable PDF from the Department of Labor to get things started. Worried you won’t know exactly how much to garnish? Don’t fret—the garnishing agency will ensure you get it right. 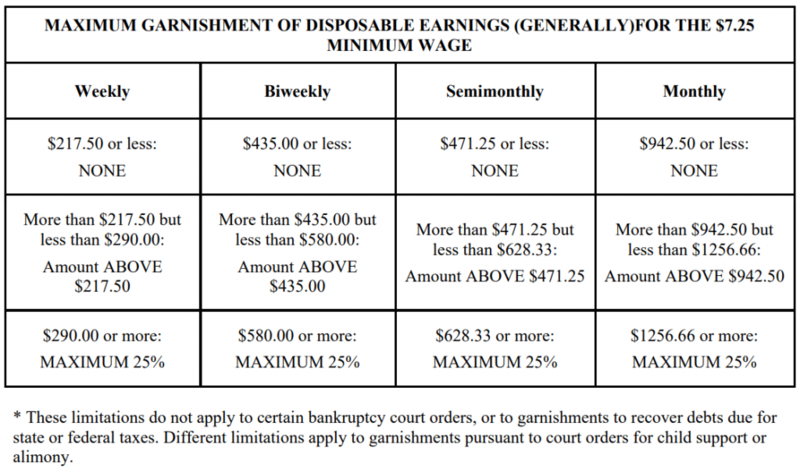 The garnishment order will include a nifty little garnishment calculation worksheet. This will help you calculate the amount of the garnishment, based on the employee’s pay and the type of garnishment being issued. This is a foolproof way of making the process easy on the employer and so the garnishing agency gets what they need. The garnishing agency wants you to get it right, to keep the employer’s business from exposing themselves to financial or legal risk due to garnishment proceedings. When in doubt, don’t hesitate to ask the garnishing agency. The only dumb question is the one you don’t ask. Employers play an important role in the garnishment process. While it’s important to recognize the privacy of the employee, employers should not delay in responding to a garnishment order. If you receive a writ of wage garnishment, a good practice would be to pass along a copy of the order, with a professional cover letter included. Your cover letter should detail the garnishment process. The letter is to ensure the employee is fully aware of your responsibility and what they should expect. Tell your employee you are happy to answer questions, should there be any concerns. Do not discuss details of the order, even if your employee brings it up. Long story short, garnishments are not negotiable for employers or employees. Make a habit of following a simple and efficient process, and you both will avoid getting yourselves into a pickle. Service: Journey puts service above all. We believe if you offer a great price and great technology, but don’t have A+ level service, it’s worthless. Technology: Journey has the advantage of being forward thinking and fast moving. Our decisions are not based on stockholders, but on clients looking for advanced offerings. ﻿Value: Journey takes a client trusting their team as a crucial part of their business very seriously. We realize cost is an important consideration and set extremely fair pricing. This is not meant to provide legal counsel or advice. Every situation is different. Please contact an HR professional or employment attorney before taking any action. Thank you for staying local! Find a location near you, by clicking here. The Happiness Target: What makes employees happy at work and how do you keep them happy?